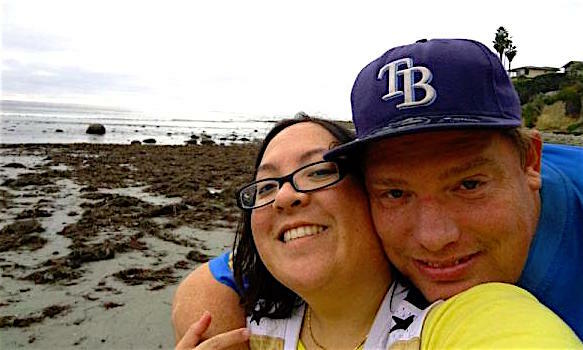 A few weekends ago Jake, T and I went around North County land for another one of Jake’s chiropractor appointments. 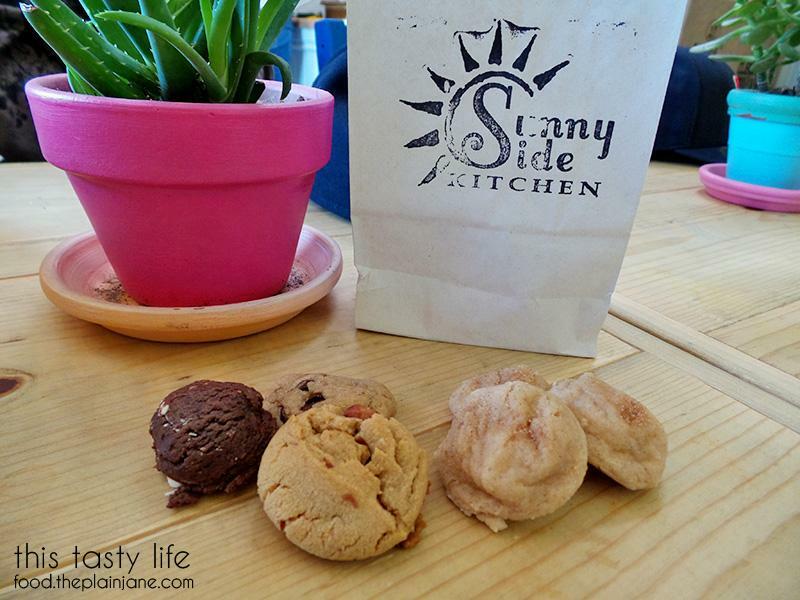 This little jaunts up north allow us to explore some unknown territory and with the help of the internet I scoped out a place called Sunny Side Kitchen at Escondido. 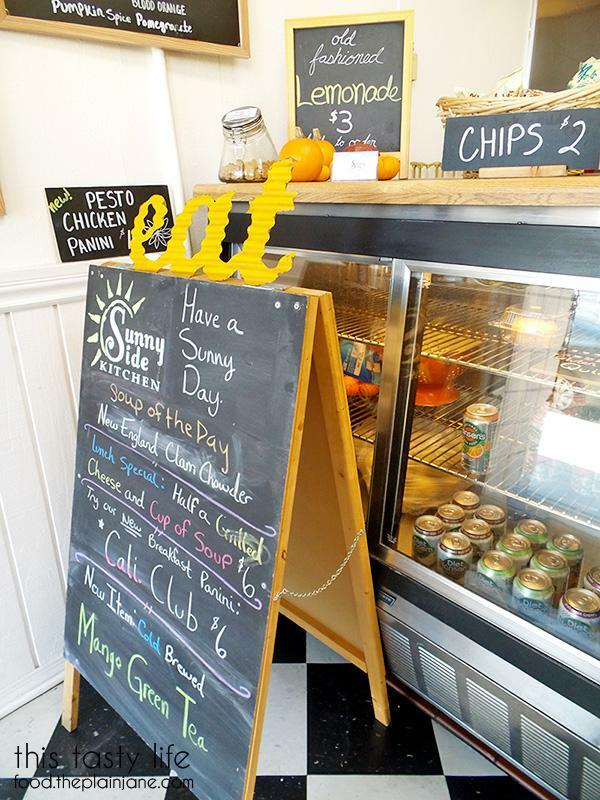 Sunny Side Kitchen is a super cute little cafe that’s open for breakfast and lunch. There are a few outdoor tables, too, so you could bring along a furry companion and sit outside. 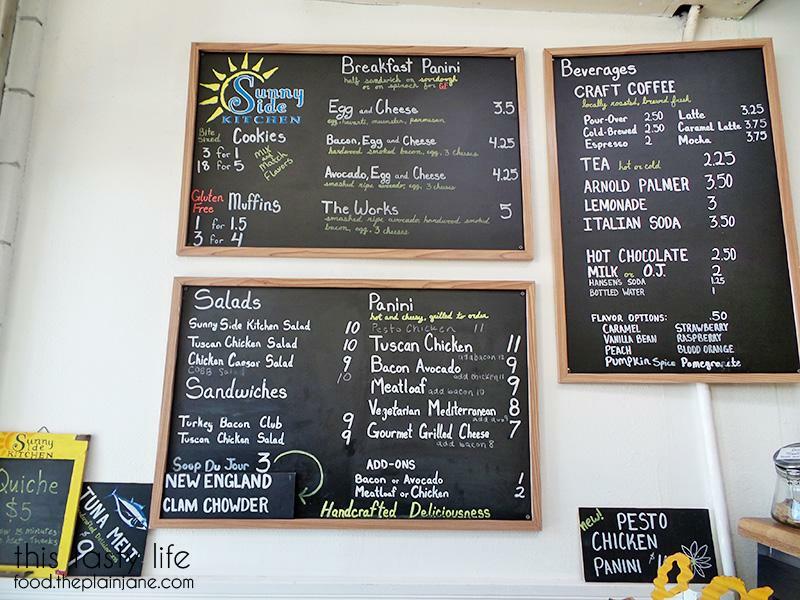 The menu at Sunny Side Kitchen is really simple. 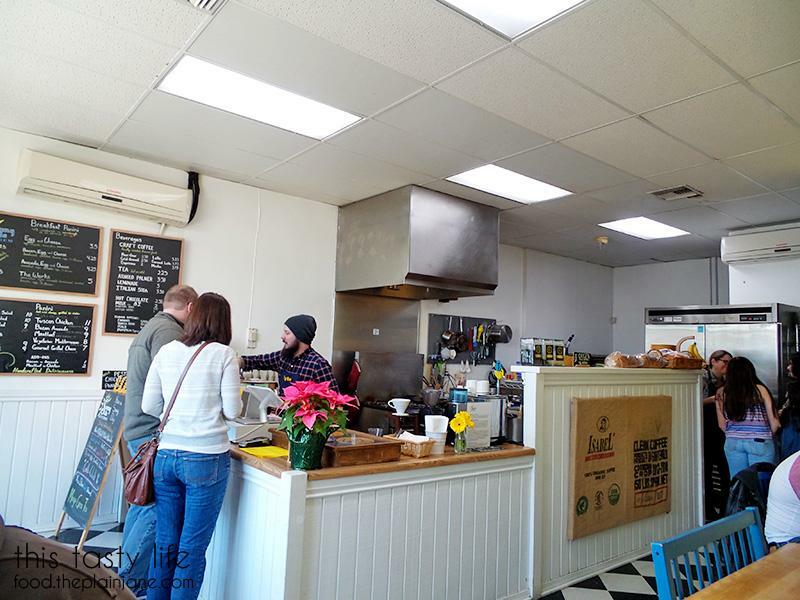 They do panini’s, sandwiches, soups, muffins, cookies and drinks. That’s about it! You can see right into the kitchen when you place your order and there are about 5 tables inside. It’s small and cozy. 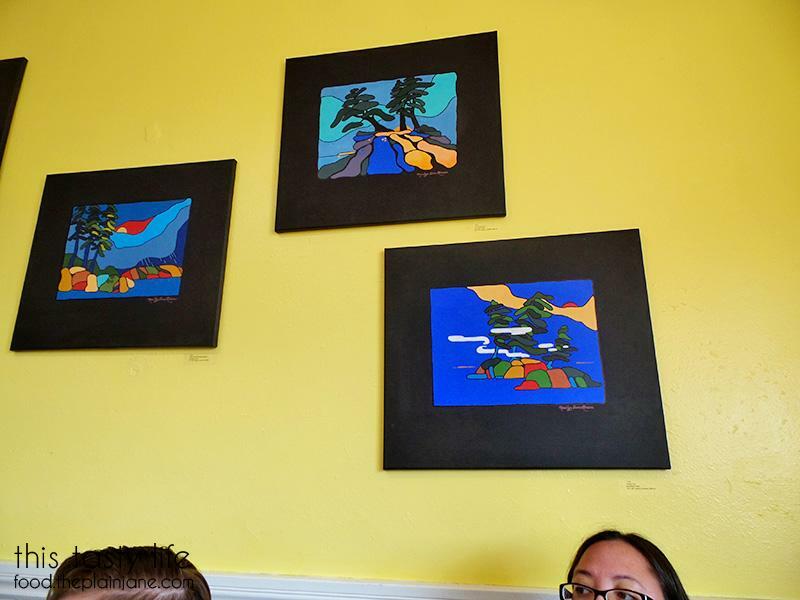 There are some neat paintings on the wall as well. Though we were here for breakfast there was no way I was going to pass up on trying out some cookies, especially if they were tiny bite sized ones! I got three of the cinnamon sugar cookies (right), one peanut butter cookie (middle, bottom), one chocolate chip, and one dark chocolate cookie. 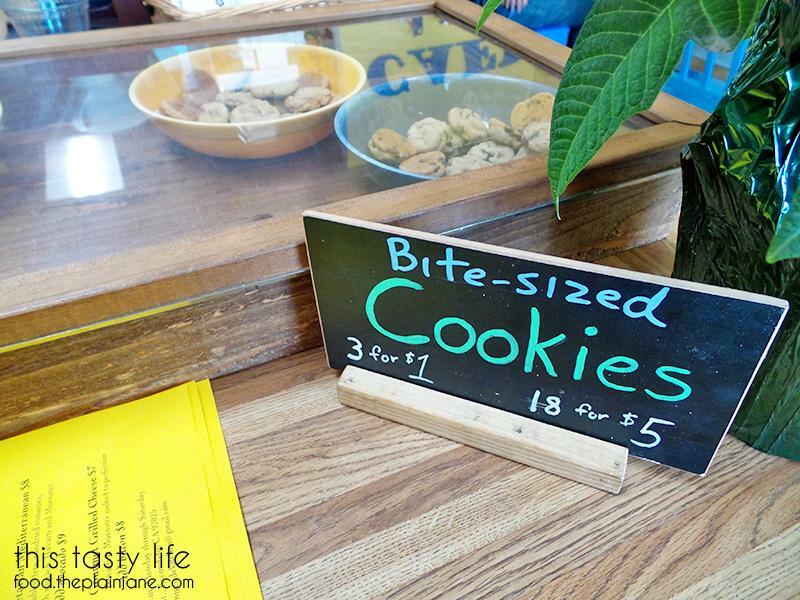 Their tiny size makes you feel okay about eating cookies. Eating three of these is probably equal to one regular sized cookie. My favorite of the bunch was the crunchy little peanut butter cookie which had whole peanuts mixed in! 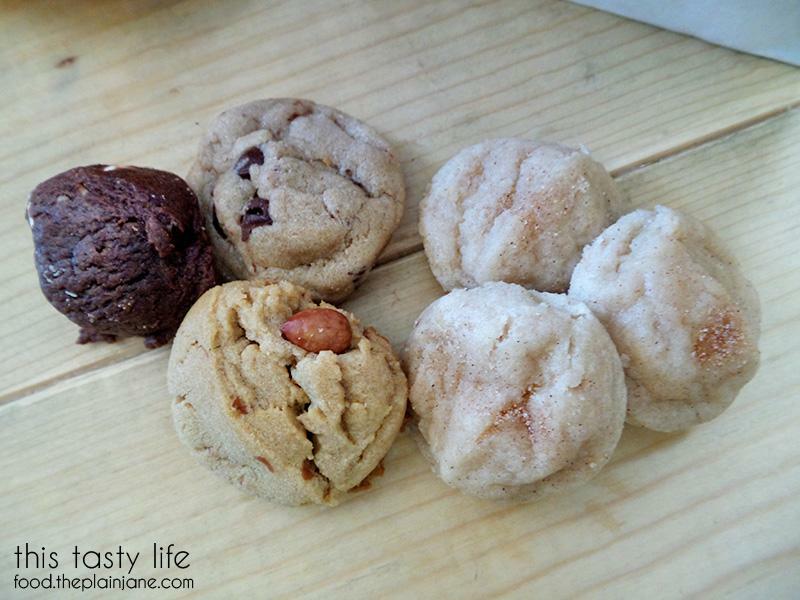 The cinnamon sugar cookies needed more cinnamon in my opinion and the other two chocolate cookies were good as well. Jake found out they are always switching out the flavors of the bite sized cookies so you’ll probably see different cookies on each visit. 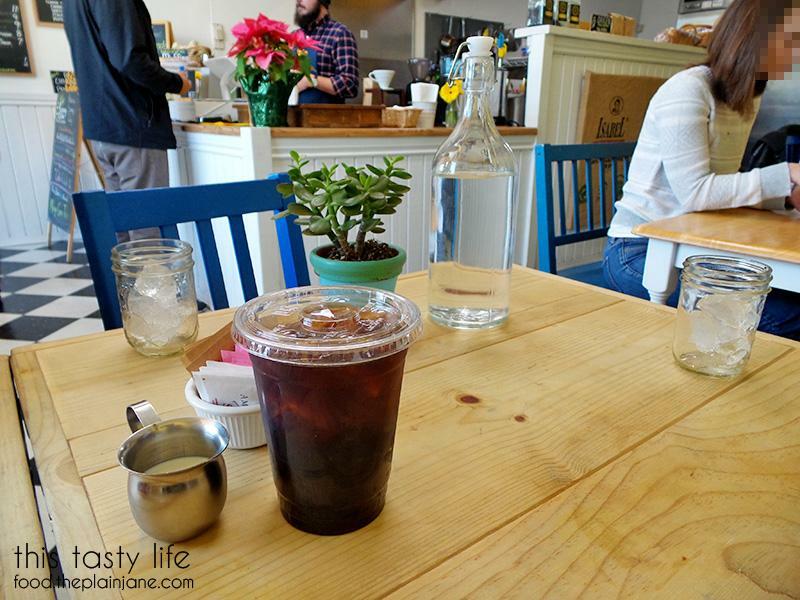 I was excited to see they had cold brew and that it was a pretty reasonable price at $2.50 a cup. I added cream and a little sugar to mine and it was quite tasty. We each got our own breakfast sandwich. The breakfast sandwiches are all half-sandwiches. Jake got the bacon, egg, and cheese sandwich. I assure you the bacon is in there, I just didn’t photograph it well since I was focusing on the crispy top of the sandwich. 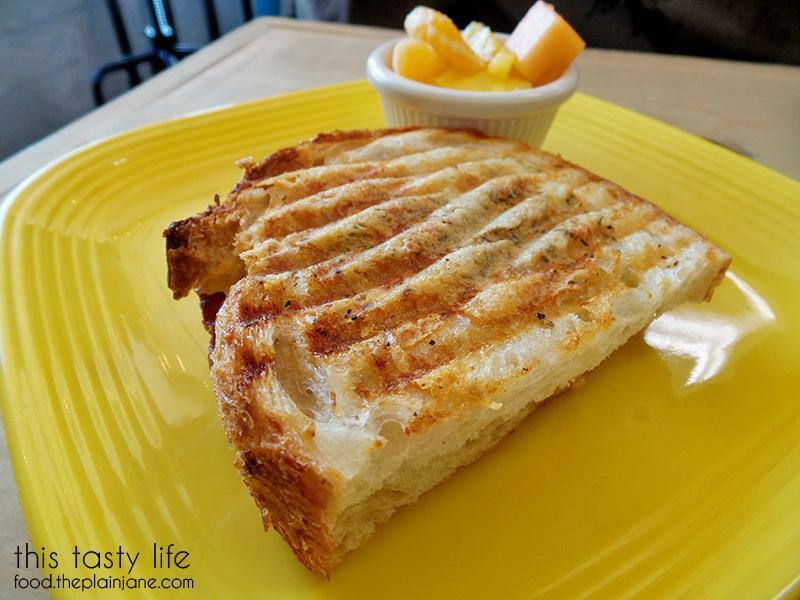 The sandwiches all had a really lovely crunchy exterior from the panini press. It looked like they sprinkled herbs and additional cheese on top before the pressing. The bread was very flavorful. 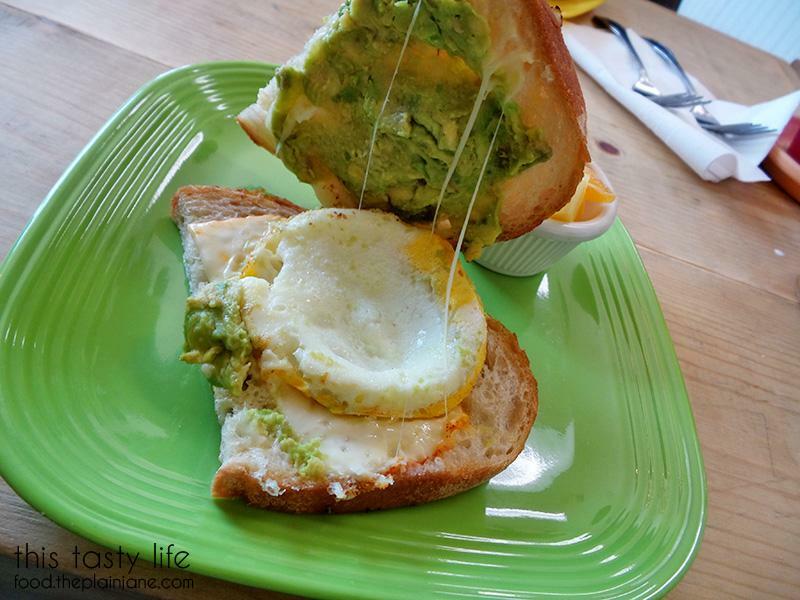 T and I both got the breakfast sandwich with avocado, egg, and cheese since we are avocado fiends. 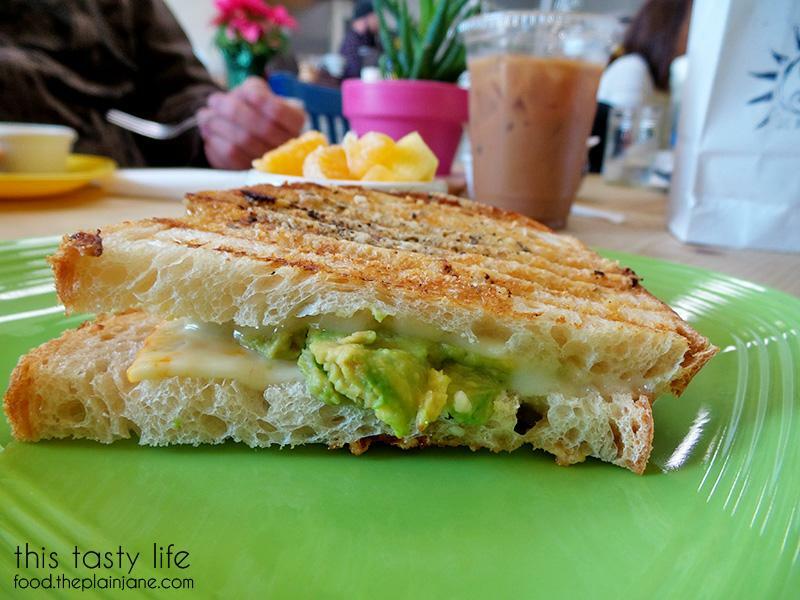 There was an excellent amount of avocado in this delicious sandwich! The egg is also NOT runny which I appreciated so so so much. We loved this sandwich. It was perfectly crisp with melty cheese and the perfect egg. Delicious! 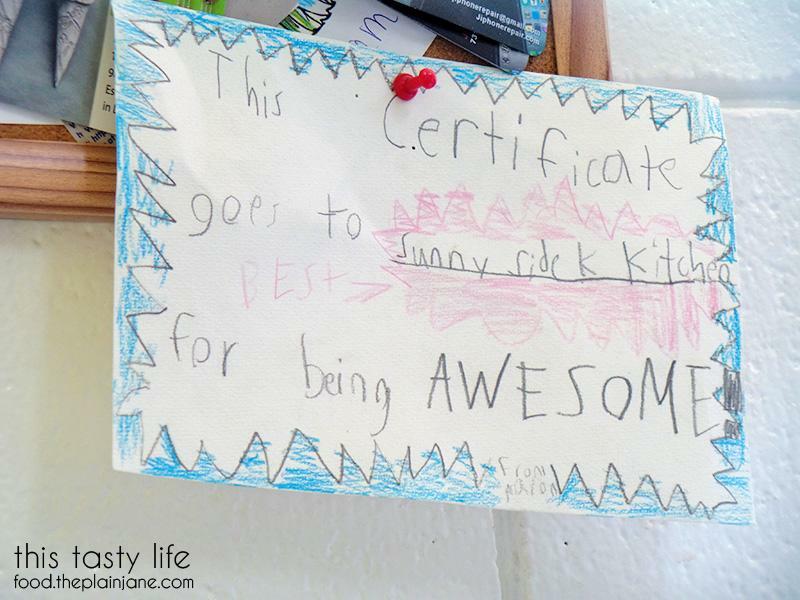 On a bulletin board in the cafe someone made this certificate for them and I have to agree – Sunny Side Kitchen is awesome. 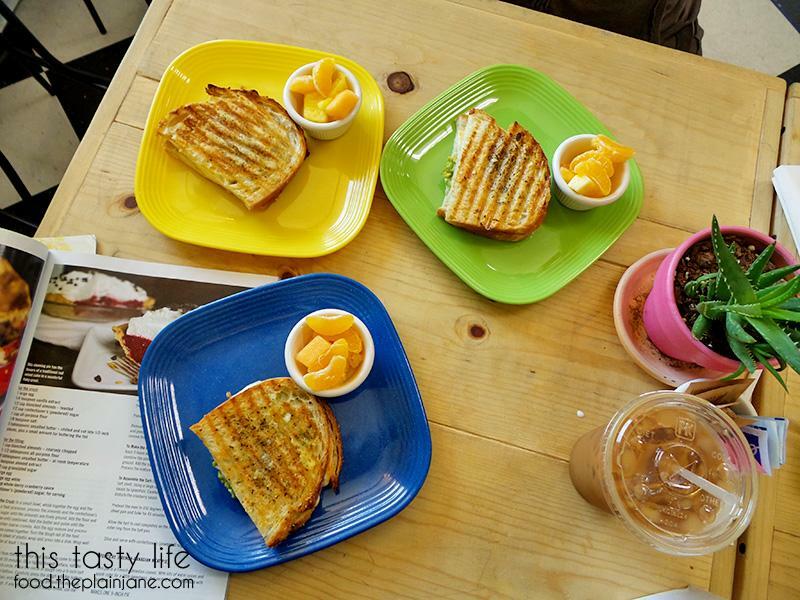 Hours: Monday – Saturday, 6:30 a.m. – 2:30 p.m.
1 Comment on "This Tasty Life: Sunny Side Kitchen up"
Thanks for the review Jake. Will try it soon. Always looking for a new place for breakfast.